Although this is billed as an EP, I certainly feel more like I’m listening to an old school single. 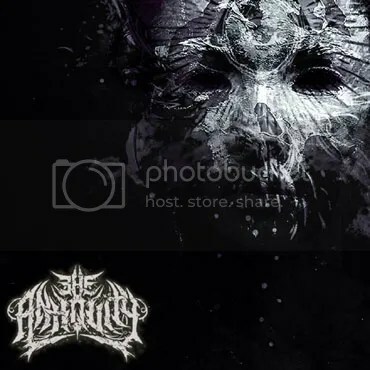 The release comprises of the title track, plus its instrumental version, remix version, and live version, accompanied by live recordings of a further two tracks – Cease To Exist and Inherit The Crown. It’s a minor detail, but I think most people have come to expect more new material from musical output in this format. I also feel that four renditions of the same work is total overkill. The focus track itself (taken from 2014’s You Can’t Stop Me) is a good display of ‘Eddie’ Hermida’s more core oriented vocal style, which has naturally divided opinion amongst fans since the untimely demise of original frontman Mitch Lucker. The music, however, lacks some of the vehemence of their previous recordings, and, for me, it’s the live takes which lift this platter to its peak. The energy they are delivered with is akin to that on some of extreme metal’s brightest moments in concert audio recordings. The immediate comparison which springs to mind is Pantera’s Live 101. The song-writing is a different pot of spuds, but the essence and tangible energy is very similar. 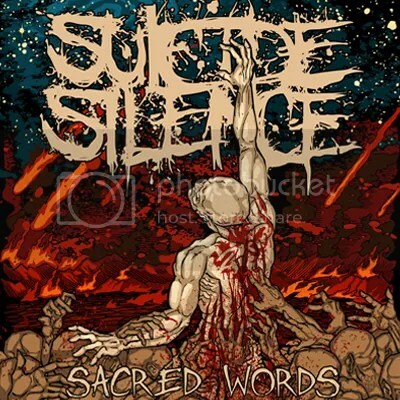 As someone who was never a fully-fledged admirer of Suicide Silence, or, indeed, deathcore in general, I am quite prepared for my opinion to be called into question on this, but to a certain degree, I find the new vocalisation more fitting to their current sound. That doesn’t mean better, and it could well be the case that the music has changed subtly in order to make this happen. The truth is we may never know, but in all honesty, it has turned me on a little to a band who I never really gave much thought to in the past, and I’m not really sure where many of their old school fans have found the ammunition for hate. If you were a die-hard fan of You Can’t Stop Me, this will most likely please you as a behind-the-scenes collector’s piece, but I would personally hold out for the next full-length to effectively sate any death-core cravings. I’m always a bit skeptical when I read the word “technical” – not because I doubt its accuracy but because I doubt my appreciation for it, as this kind of guys tend to throw their skills all over the place. Not these five youngsters from Scarborough, though. 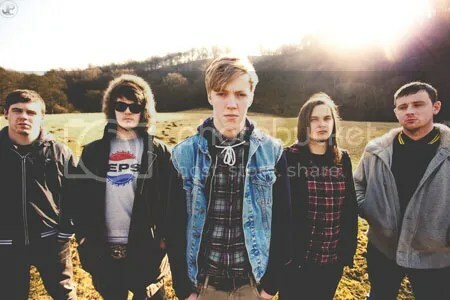 The Antiquity know how to excel without overwhelming you. It kicks off with the title-track “A Colossal Infliction Of Hate”, in an old school slower-tempo, almost doom death track. Then “Quarantine” gets faster and comes forward justifying the “technical” term in their genre description, with its exquisite riff patterns. There’s a reason for “BLAST” to be spelled in capital letters in “BLASTthehorse”, as this short track is of a much sheerer violence. Enhancing their more ‘core side, “Tales Of Anguish” (my favorite) comes next. And finally “Path Of The Ascetic” gathers a bit of all of the above, entwined with some thrash metal licks. Originally released last summer, “A Colossal Infliction Of Hate” is now being re-issued with the new singer Luther Williams and an improved production. Because the EP is just that good and it surely deserves a revamped second round. 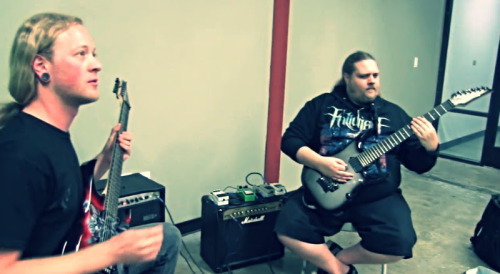 Deathcore behemoths Carnifex have recently posted a video online of guitarists Jordan Lockrey and Cory Anford demonstrating how to play Condemned To Decay, which is taken from the new album, Die Without Hope. The tutorial can be viewed below. 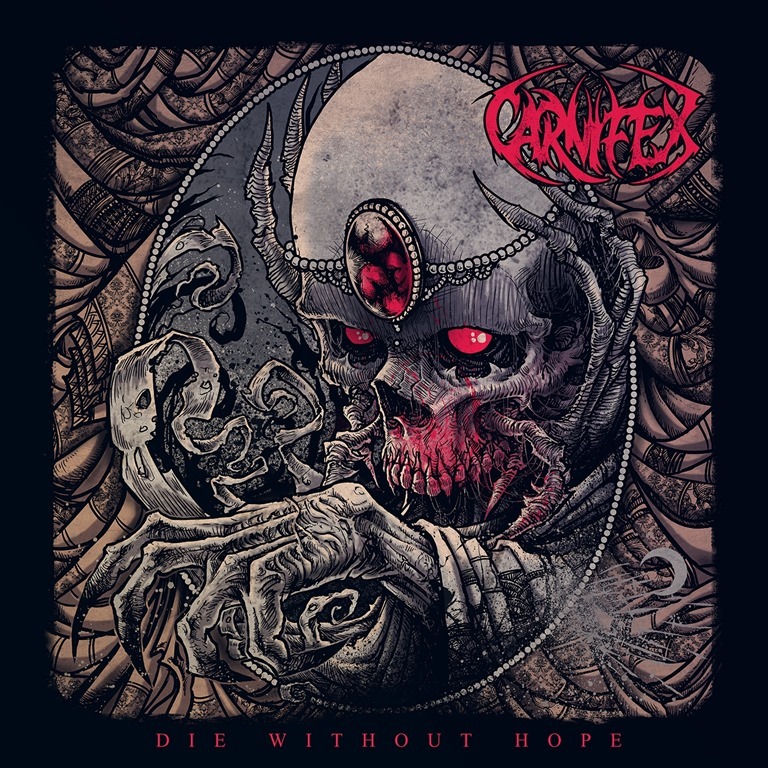 Die Without Hope was released on 3rd March 2014 via Nuclear Blast, both physically and digitally. 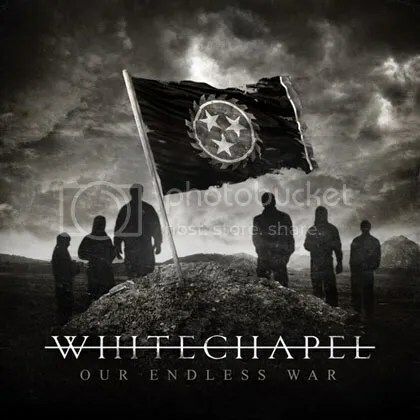 As a person with minimal interest in Deathcore or any similar sub-genre, I thought it would be a dreary task to review an album that I didn’t think would be any different from the rest. Many might say that I jumped to conclusions way too quickly, they would all be correct. Carnifex are one of the few bands of 2013/14 that have evolved in a truly infinite way. Having being criticised for being a Suicide Silence copycat in their early years, they have since matured and developed into something unique and unrelenting. I am quite simply astounded. Upon first hitting the play button I was greeted with an ominous and haunting intro sample (which is always welcome) and Scott Lewis’ voice which comes bellowing through the speakers with the title of the opening track Salvation Is Dead. This is a fantastic choice for opening an album, quite simply because this particular song demonstrates and boasts Carnifex’s true inspiration and growth as songwriters. The main guitars have almost streamlined and simplified but give a clearer indication of what they are about and what direction they want to go in, however, the songs as a whole have been filled to the brim with surprises and breath-taking guitar solos which I would never have anticipated in a Carnifex album. My personal favourite is Dark Days. This track really shines in terms of growth and citing their inspirations on their sleeves, is just truly incredible and I have not even started on the new production yet. Signing to Nuclear Blast is the best move they have made. Their production has improved tenfold. The drums are twice as thunderous but still crisp, the new clarity in the guitars and bass is so much more gratifying than on previous productions and the vocals are just simply incredible. This album is a MUST for 2014. 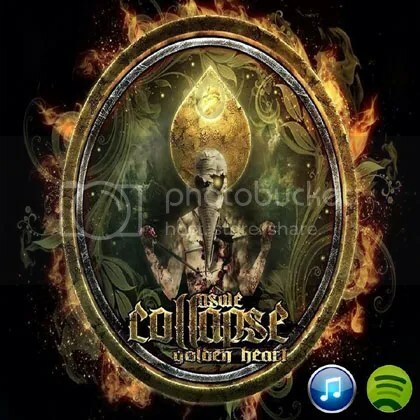 Swedish As We Collapse don’t believe that Fridays 13th are unlucky days: their debut single “Golden Heart”, which originally would be released in January, will be available on Spotify and iTunes this Friday, December 13th. Deathcore Martyr Defiled have just released a new single and video for “Infidels”, which the band considers to be their “heaviest and most angry song, both lyrically and musically”. A month before, Martyr Defiled anonymously launched 090913.com, where videos would show sensitive images and ominous sentences, to the sound of quite disturbing noises. The icing on the cake would be a countdown clock, ending on 9th September at 7pm, leading to 25 YouTube conspiracy videos, talking mainly about another terrorist attack on USA. More important than that, the site achieved the 500.000 hit-mark.